Listen to "Podcast 17 Why Rabbits?" on Spreaker. ​The noble rabbit is a great homestead animal. It provides meat, fertilizer, pelts, fiber, and money to the homesteader that keeps it. Raising rabbits is fun, educational, and interesting. Rabbits can produce more meat than one would expect from such a humble critter. Give this episode a listen, and find out if raising rabbits is for you! Podcast 16 Interview with Lindsay Hodge author of "How to DIY Anything: The Ultimate Maker Mindset"
Listen to "Podcast 16 Interview with Lindsay Hodge author of "How to DIY Anything: The Ultimate Maker Mindset"" on Spreaker. ​In today's episode we are delighted to hear from author and domestic Goddess Lindsay Hodge. She has just received her newest book back from the editor and she wants you to be a beta reader! Her book is titled "How To DIY Anything: The Ultimate Maker Mindset." Her book is about getting into the right frame of mind to go out there and actually try being a DIYer. Enjoy the episode and tell me what you thought about it in the comment section or by going to our website at www.havenhomestead.com/podcasts and leaving your comment under episode 16. Listen to "Podcast 15 The 5 Pitfalls of Homesteading and How To Avoid Them" on Spreaker. ​In today's episode we cover the top 5 pitfalls of homesteading/ sustainable living/ off grid living, and how to avoid them. 1. No financial plan. Lots of folks like the idea of a sustainable homestead but are not prepared for the expense of it. Everything on the homestead has to be either bought or made, and that can get expensive. The way to avoid this pitfall is by having a financial plan. If you know how much you can spend on fencing, animal cages, vegetable seeds, fruit trees, and everything else you have to make or do then you won't go over budget. 2. The second pitfall is trying to do too much too fast. It is good to have a strong work ethic, but if you work yourself to death and there will be anyone left to build your homestead. The way to avoid this pitfall is to recognize your strengths and prioritize. If you have a spot that you want a orchard in, and you know you're not going to be building their, then plant some fruit trees. Don't plant or build things where you will need to take down or tear out in two years time. 3. The third pitfall is being shortsighted. Shortsightedness kind of falls under pitfall two. It's important to plan far into the future so you don't have to do any work twice or three times. Putting your plans down on paper helps in the long-range planning process. 4. The fourth pitfall is not thinking of your family when making plans. Your family is your support group, your free labor, your cheerleaders, and they need to be part of your long-range plans. Think of what your spouse wants to do with the homestead and how the children can be involved, or how you can house your brother while he gives you a free summer of labor. 5. The last pitfall is don't be a hoarder. It's important to reuse and recycle but it's very easy to pile up stuff for "just in case". This is where organization and proper planning come into play. It's also easier to work on the homestead if you're not fighting around piles of junk. When people come by to see what you're doing in this exciting work you don't want to put them off by having an unkempt or disorderly property. A bonus pitfall I put on here is not being part of your community. When you leave your community out of your homestead plans you lose a great support group physically, emotionally, and financially. 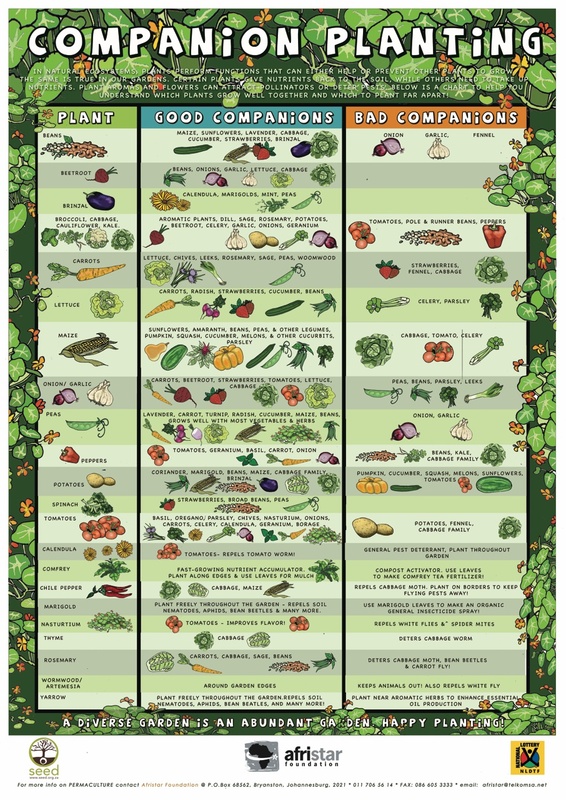 Listen to "Podcast 14 Companion Planting" on Spreaker. Today's episode is on companion planting. In this episode we cover everything you need to know to get started on companion planting. We talk about five plants: carrots, tomato, peas, potatoes, and zucchini/squash. We discussed what each plant likes to be planted with/next to, and also what it doesn't like to be planted by. Tune in and let's get started! This is the first link to a list of companion plants. Please leave us a comment below! Listen to "Podcast 13 Comfrey - The King of Permaculture" on Spreaker. In today's episode we talk about the King of Permaculture, comfrey. Comfrey is a useful plant. It is used for healing, gardening fertilizer, compost, mulch, and much more. Today's show is short because we have a video on dividing and planting comfrey! It is our first video and we are very excited to share with you.